Visit SoilWarrior and Wylie Implement at the Amarillo Farm Show, November 28-30, 2017. 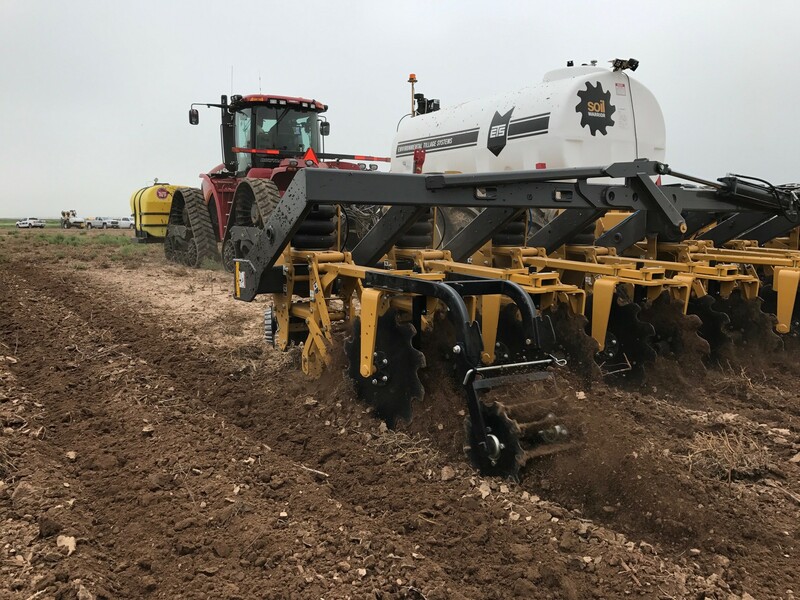 Environmental Tillage Systems is a premier manufacturer of zone tillage equipment in Faribault, Minn. Its flagship product is the SoilWarrior, a complete strip-till system that enhances soil productivity and farm profitability. ETS products set the standard for in-field performance, machine durability, and ease of operation. Founded on a farm in southeast Minnesota, the company now serves clients in the USA, Canada, Australia, New Zealand, and Zimbabwe. To learn more, visit soilwarrior.com. Wylie & Son, Inc. is a family-owned and operated company in continuous operation since 1930. Since 1964, Wylie has specialized in the manufacture and marketing of chemical application equipment. Wylie sprayers and equipment are sold nationwide and in several foreign countries. Our primary markets and interests lie in the Southwestern United States. We feel that we can better serve the growers in this area by concentrating on their needs and by providing high-quality, affordable, state-of-the-art products and service to the agricultural community of the Southwest.